Ideally, dentistry is preventative. The American Dental Association (ADA) recommends that you visit your dentist regularly -- at least once every six months -- to ensure proper oral hygiene and functionality. Regular checkups and oral health maintenance prevent the development of serious dental problems that can require costly treatment. If you remain vigilant and visit your dentist regularly, you can enjoy exceptional dental health. Ala Moana Dental Clinic provided financial assistance and counseling to receive proper dental care. They treated us as one of the family assuring a painless treatment. They also provide extended hours in the evening and weekends of operation to allow for patients working during the week. I highly recommend them for anyone who needs dental care. Thank You very much! Excellent care, friendly front desk, professional and personable. Came in late due to traffic. Went right in for my 0600 at 0605 without any problems. My hygienist and her assistant was thorough and professional. Dr. Nguyen explained what he saw in my xrays and how to best prevent future breaks from eating hard foods - candy and almonds. Everyone is nice. They work with you on your budget. Then they provide top tier quality dental work. I am so glad I found you guys!! Thank you so much!!!!! Always on time with appointments. Very friendly. And seem to be knowledgeable. They also have great hours. 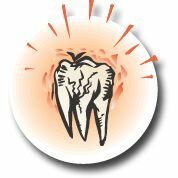 I am very pleased with the service and technical abilities and warm atmosphere I have found at Ala Moana Dental. They also have great hours. I always feel welcomed coming here! The staff are very kind & do a great job! This is the first time I visited Ala Moana Dental Care. The people there are very professional and friendly, especially Dr. Win, the dentist who treated me is exceptionally friendly and professional. He is also highly knowledgeable in the profession and can point out the cause of the problem which the doctor who treated me somewhere else before could not. Thank you. every time i have visited this dental care office i have received prompt professional care. As usual, Ala Moana Dental Clinic is professional and efficient! My appointment was completed in a timely and efficient manner. Very nice and accommodating. Highly recommend this place and great in-house dental plan. High quality service, awesome professional and friendly staff! I'm beyond blessed and thankful to have found my Dental Ohana (family). From the start, they made it so much easier to get started, scheduling an appt. was quick and a breeze. The office is so warm welcoming and cozy. The staff are amazing at what they do and friendly, as if you've known them your whole childhood. I love the communicstion amongst one another to get to the common goal. The doctors, oh, they are like part of an Dental Avengers squad or something, just wonderful at what they do!I got 4 extractions today and let me tell you, it was so quick and easy that I still able to be to write this review. No pain and was out in a jiffy. The staff was friendly and accomodating and although the dentist was unable to help me he was helpful and professional. Always a pleasure to go there. Staff are friendly, professional dentist and dental hygienist. Very much minimal pain and/ or discomfort. I look forward to getting my teeth looked after by these professionals. I recommend everyone go get theirs dental needs taken care of there. You will not be disappointed. Already making an appointment for another time!! These guys are amazing! I would totally recommend this dental office. In fact I have! And they were quite pleased with the service. Love the convenience of weekend hours so I don't miss work and the kids don't miss school. I love going to the dentist, said no one that I've ever met. But, I don't mind coming in. I have had some horrible experiences in the chair but never at this office. From the front of the office to the back of the office, professionalism and caring people. All y'all ROCK! I had 5 fillings done in one sitting just because I prefer to knock things out at once. The Dr. Nguyen didn't make me feel like he was rushing and the man is amazing with a needle. Didn't even feel a pinch. Great work and great people! Thanks so much! I recently moved out of Honolulu so I went to another dental office and I was reminded why I love Ala Moana Dental Care so much. I came back to get my wisom pulled since I feel comfortable here and again, I received another amazing experience. I truly feel like I'm at a spa and enjoy every visit. It's worth the drive so I won't be making the mistake of going anywhere else again. I'll be a patient here for life. Like the dentist assistant. She calms me down. Courteous and efficient service coupled with professional work being done is why I use their services. On November 17, 2015 at Ala Moana Dental Care I received as always everything I needed and MORE. The check in, the information about different possibilities for dental insurance (because of cancellation of the old plan), the examination and recommendation by the dentist, the procedures done by his dental assistant - everything was done at the highest level of professionalism, and at the same time gentle and with warm care. In my case, the last two are of extreme importance. Having fear and a phobia I could suffocate while having work done in my mouth, I usually stop or at least don't breath normally. Everyone helped me to fight these issues. Thank you and Mahalo to Dr. Declan Devereux and his amazing team! Best of Luck with the coming Holidays to all of you ! I had Dr. Kominaka, Edi, and Chris took good care of me. Thank you very much! A very convenient and enjoyable experience every time. We are happy to visit the dentist when it is so quick and convenient. We are always able to schedule our family of five together in back to back visits.We love the staff and the facilities.Parking is very easy and free.Our family plan makes it very affordable. First class professionals - amazing hours of operation.Dentists, technicians, and all of the staff do excellent work with much aloha.BEST DENTAL CARE, EVER !Importantly - NO PAIN, EVER, NONE ! Always great, personable, and quality service! Always feel like I am getting the best service. I've dealt with at least 3 dentists there but they are always really nice and giving the best service. Wait time was long enough to sit down, service was prompt, thorough and done with a smile, and I was given a ditty bag to boot. Highly recommend this staff for dental needs! I love the early morning appointments at Ala Moana Dental - in, out, and ready for my day. I would go there simply because of the great service, but I especially love Ala Moana Dental because they have appointments that don't cut into my very busy work day! 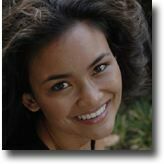 As a newcomer to Oahu it was critical to find a great dentist and I am so glad I chose Ala Moana Dental Care. ala moana dental provides great service! Excellent dental care for 20 years. Excellent service and staff! Very reasonable priced! I honestly believe you guys are the best in the industry and I recommend your services to all I can. nice hygienist and nice dentist! convenient location; great customer service; love the communication and reminder system, and also the fact that they were flexible when I needed to reschedule at the last minute. I have been going to Ala Moana Dental for years and I have always received excellent care.. They have great hours and can really work around your schedule to provide outstanding service. They have a friendly atmosphere that's very welcoming as soon as you come in for your appointment. I was referred to this facility by a friend. Since entering the doors of this facility, I have been greeted with such professionalism and warmth. I felt welcomed and really a part of the family. I look forward to getting work done on my smile and feel blessed to be associated with this dental team. Great service and very efficient staff. The staff were friendly and greets you with the warmest smile as soon as you enter their office. You are well taken cared of from the start until the end of your appointment. Great service and very efficient staff. Mahalo. Got the feeling that the staff cared about me and my oral health. After seeing a dentist who was all about how much money he could extract it was nice to walk into a place that cares about its clients more than all else. I got service I received was not only professional but I really got the feeling that the staff cared about me and my oral health. This was our first visit to Ala Moana Dental Care. I was nervous going to this appointment because it's been a while since I last saw a dentist. Dr. Nguyen is friendly and professional. Diana also was great. 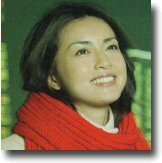 She made me feel as if we were long time friends and help me to relax. Thank you for the awesome service! The doctor and the faculty are friendly to the kids. Thanks. I needed to find a dental place in my area due to a concern I had regarding me teeth. Ala Moana Dental Care popped up on my google search and I was interested in the place. I was helped and I enjoyed my visit. I would recommend this for others. It is always great and good service. The care I received was amazing. Great bedside manner. Very helpful in keeping me at ease. Both Dr and nurses were great. No pain in procedure before or afterwards. AMAZING! Can't wait to go back. Grateful Ala Moana Dental Care is open on weekends, especially Sunday's. Best dental facility and staff. Polite, through, excellent dental work. I had a great experience today! Appoinment on time, very friendy and professional stuff! I felt very welcomed! I highly recommend them to everyone! Thank you! I'm satisfied with the service . Staff explained the treatment well, they efficient, I'm satisfied with the service . I am terrified of going to the dentist... Having sharp objects poked at my teeth and gums - leaving with sensitive teeth and a swollen mouth, is the reason I haven't been to a dentist in years! These people though are AMAZING and take such great care of you! I've never been to a dentist that was so caring before! I would recommend them to EVERYONE! ... Especially those that are weary about dental treatments!! Love them! very friendly staff, makes it worth returning as a patient. The dentists & hygienists are great. Great service, friendly staff, efficient and timely turnaround. My experience has been wonderful. I feel very comfortable going to this dental office. They are pushing procedures not required like my past dentists in Hawaii. Flexible operating hours and able to change appts is a big plus too. Everyone is so kind and accommodating. I love it. This is the place to go to if you hate to go to the dentist. Everyone is so kind and caring you don't feel stupid to admit you are afraid of what is going to happen. Being gentle while professional they make you feel at ease and get a great job done. Excellent Dentists, and Dental hygienists. good service and great doctor. I was so glad to find out they are open on Sunday. My husband and I would like to commend the staff for their devotion and loyalty to their patients. We are extremely impressed by the services of our dentist and taking the time to explained whatever procedures before the actual dental work. We greatly appreciate Ala Moana Dental Care for all you do for us and that other patients of yours feels the same experience. Very efficient and professional. Dr Devereux did great job. No pain, and it was fast. Explained well before and during the procedure. Thank you very much to the doc and the team!! always good experience (except once) better with gas! My experience here today dated July 29, 2015 was excellent! I love it here.If I know anyone who wanted a Dentist this is the place. I'm glad I got referred here. Thank You! I always get a great hygeinist when I'm here. The hours are great for everyone's schedules. A little bit bummed that they stopped the free mouthwash Yelp check-in promo, but I understand why. Dentists are always nice, though I sometimes feel like they rush the routine checkup. Maybe they just know their stuff really well. They do make sure to ask if you have any questions twice, which is great.Overall, a great place with great staff. Love the reminders since I'm forgetful. Thanks to the staff, and I'll be back every 6 months! Very professional but also very friendly. Everyone was very professional and I always receive great care. But what I really like is how friendly everyone is and how they help you feel at ease. Both the dentist and Emily were super nice. Mahalo! My Dentist was the best he was considering my best interest and was worrying if I was comfortable in the chair. He made sure I didn't feel pain and made me feel good sitting in the chair waiting to remove my tooth. This place is far best than any other dental establishment I have ever been to. They are very nice and courteous to you and your well being. From the minute you step in and out they are asking if everything is ok and if they can do anything for you....made you feel like you were a VIP so thank you Ala Moana Dental Care. I have always been satisfied with the services with AMDC. Been a long time customer and always pleased! Thank you! Really caring, professional, and friendly. Ala Moana Dental Care is wonderful! The staff is so kind, caring and professional, and their customer service is outstanding and their services are very affordable. I will recommend Ala Moana Dental Care to all my friends! High quality service! Easy and fast to get an appointment . I've been to numerous dentists throughout my long life and can honestly say that I have finally found a dental clinic that I'd like to stay with. everyone, from the receptionists at the front desk, to the dental hygienists and the doctors were very helpful, considerate, and personable. Since I was a child, I have always feared dentists, and in fact, still do. However, the patients and concern of everyone at the clinic with me very much at ease. Professional, friendly, always on time! The only dental office I've had in my entire life that is always right on time for every appointment! Thank you for all your help, professionalism and working me with payment options. Each staff member was friendly and professional from check-in to departure. Great service. Thank you very for taking the time and help me out with my concerns. Highly recommended for all your dental problems and needs. Great office and dental services. Appreciate all you do for us patients. Very professional and friendly. Love the long hours! Dr. Manditch is the best! Also the staff is friendly and awesome !! Walk-in. Friendly front desk. Received prompt service. I've been a satisfied customer for a few years. Ala Moana Dental Care staff are truly the best when it comes to customer service. Like a well oiled machine, you are cared for by multiple staff as soon as you step into the office. Dr. K has been my primary dentist and he truly takes customer service to a whole new level, even calling me after a procedure to check if I was okay. I'd definitely recommend Ala Moana Dental Care for all your dental needs. Outstanding job as usual, it is a pleasure to go there! Thank you. I like coming for my checkup every 6 months cause of the professional and efficient services that your employees offer. One of the things I always hate about doctor and/or dentist appointments is the sitting and waiting. Not at Ala Moana Dental. Ally appointments start promptly on time, the staff is friendly, and they are efficient. Under an hour is my type of service! Great service. Really nice doctors and nurses. I couldn't believe how wonderful the appointment went. They were so great. I almost fell asleep a few times, that's how gentle they were. My tooth ache was really bad and I knew they would have to extract it. I barely felt a thing. I would recommend them to everyone. They are very reasonable. So worth it. love the professionalism and knowledge!! Thanks again, great as always, timely also!! Thank you for your extended hours and always being punctual with my appointments. Nothing worse than sitting an extended time in a doctor waiting room like my time means nothing. Fortunately, this never happened here. Staff very professional in all areas. The front desk clerk, staff, hygienist and dentist were so sensitive to the fact that I was in massive pain. They went out of there way to ensure my comfort and we're absolutely amazing. I can't thank them enough for relieving my pain and taking the time to en sure I was doing well. I would recommend them to everyone. They didn't go the extra mile for me - they ran a whole marathon! The entire staff, from receptionists, to hygienist, to financial representative, to the dentist himself; everyone had me, the patient, as their first and foremost priority. Old school service coupled with high-tech industry leaders.So refreshing for a business to be run this way. Other businesses should sit up and take notice! Easy and efficient, excellent service. Fantastic, friendly, Professional a very nice experience even with my mouth numb and my jaw open. Definitely my dentist from now on. Friendly service , very informative about dental prices and dental care mahalo again For the great work and services. Amazing hours. Excellent customer service. Love my dentist and dental assistant! Made me feel comfortable and genuinely concerned about the issues i had! So glad i found them!! Mahalo!! Always a TOP NOTCH experience. Always a TOP NOTCH experience. From front desk to dentist. excellent service,and treatments.like always.i wish you would just accept more other insurance companies so i can stay with you. otherwise everything is excellent. Excellent and friendly service plus quality care. Excellent and friendly service plus quality care. Would highly recommend. My only issue is the cost of the nitrous oxide; more than double what my previous dentist charged! I was well taken-care-of during my last appointment with Dr. Declan and LeeAnn! Ala Moana Dental Care has upbeat and welcoming employees and dentists that care about your well-being. Excellent customer service�.efficient and caring. Very professional,kind and caring dentists and staff. I actually came here from the mainland. Seems like every dentist I go wants to drill everything out and put it back in when there's no need to. I was subjected to that and also make me feel bad about my teeth. People here are nice and respectful and do what is needed. I will be back and recommend to everyone. I am so glad I found this clinic, they are open all week and early making my life easier to schedule appointments and visits before or after work! Their dentists are one of the best, they are very friendly, understanding and gentle. I would recommend them to my friends and family in a heartbeat! One of most sanitize, modern dental facility I have ever been here in Hawaii. One of most sanitize, modern dental facility I have ever been here in Hawaii. Very knowledgeable and friendly staff. It was my first time here and I will definitely come back to my teeth done. The hours of this Doctors office is simply wonderful. Staff Is very helpful and friendly. The Doctor helped me with my toothache pain. Ive been coming here for 5 years. And I recommend this Office to my coworkers and friends. I'm normally skeptical of... I highly recommend this practice. I'm normally skeptical of larger dental or medical practices who seem flashy but this place proved that larger practices does not necessarily equate to less personalized care. Everyone we encountered from the woman who took our call to make the appointment to the dentist himself was friendly and efficient. My boyfriend and I wanted to go in together but have conflicting work schedules. Since Ala Moana Dental Care is open early on the weekends we were able to go in early Sunday morning and still receive fabulous care. I highly recommend this practice. I am so happy to find your office with a new DDS. Excellent care. The staff is helpful and very easy to ask questions. Just what I like a helpful staff and very pleasant conversation. They were awesome! Jaime and Dr. Matto's were very accommodating, fast, and knowledgeable. They were awesome! Jaime and Dr. Matto's were very accommodating, fast, and knowledgeable. I am extremely picky about dentist and hate going by any means. But they passed with flying colors, and I'm not dreading my next visit. Everyone made me feel super comfortable though, and they were all super nice! I'll be going back here for good now. I was really nervous because I haven't been to the dentist in a loooooong time. Everyone made me feel super comfortable though, and they were all super nice! I'll be going back here for good now. Very friThis was my first time that I enjoyed going to the dentist.endly staff. I'm just a walk-in patient/client and its my first time to visit a Dentist but then I was overwhelmed with the staffs and employees in terms of assisting their customers or patients especially the cashiers or customers service in front, they were very enthusiastic and accommodating in serving me and also to the rest of the customers or patients waiting in front. Thank you to Hoku and the other girl who assist me during that time. Sorry I forgot her name but thanks anyways and hoping to see you again soon and please keep up the same vibes and spirit of how you handle and take care of me, keep that same personality and behavior to your future customers/patients. Mahalo! Once again Ala Moana Dental and Dr. Matto came to my rescue! Once again Ala Moana Dental and Dr. Matto came to my rescue! Had an abscessed tooth that needed to be pulled and Dr. Matto did it so painlessly and quickly I was actually early for work that same day. Didin't feel a thing and everything healed up quickly. Love Ala Moana Dental! The staff was very professional and welcoming. Dr Deveraux was helpful and accurate in his diagnosis. Two thumbs up. Will definitely recommend this office. I have a great visit to your office. I was expecting to have some pain and long treatment. I have a great visit to your office. I was expecting to have some pain and long treatment.. I was surprised that it took less than 10 minutes and it was painless.. Thanks to Dr. Devereux and his assistant Chasity. Excellent service and excellent staff! Plus they're open 7 days a week! Excellent service and excellent staff! Plus they're open 7 days a week! Really convenient for a person with a busy schedule! I'm glad that his first tooth extraction was a good experience. Prior to going to Ala Moana Dental Care my son was so afraid of going to the dentist that he would suffer with the pain until he couldn't bare the pain. He said that his dentist is so gentle and really like him. I'm glad that his first tooth extraction was a good experience. Thank you Ala Moana Dental Care. Excellent service from all staff. My treatment options were discussed by the doctor and I was not pressurised into any expensive treatment. Would thoroughly recommend this practice. Dr.Declan Devereux has been my all time favorite dentist for a number of years now. Dr.Declan Devereux has been my all time favorite dentist for a number of years now. Going to the dentist for me has never been an event I've looked forward to. I had a dentist as a young child that was quite mean and rough. He was not the ideal pediatric dentist and/or gentle while working on my teeth. But now as an adult, I can make my own decisions on whom I go to for great dental care - my absolute choice is the Ala Moana Dental Care office. It's not just Dr. Devereux, but the front office staff the amazing dental hygienist Sharon really represents this company well. They offer genuine great patient/guest service. You feel welcomed and important at Ala Moana Dental Care. Sure they may be other great dental offices/clinics out there - but Dr. Deveruex's team makes you feel at ease from scheduling an appointment 7-dayts a week, super early appointments and later after work appointments too. Above and beyond my patient expectations! Good customer service, efficient operation, excellent use of newer technology, organized operation. Flexible hours of operation to accommodate everyone. No scams. I went to a dentist at the Kuakini Medical Center who charged me $35 for instructional service on how to properly brush teeth (using a plastic model of a mouth). Really? So far, it seems that this type of scam won't occur at Ala Moana.. (btw, i am 37, never had a cavity....explaining why I was so shocked about the "toothbrushing instruction") Anyway, good business. 5 stars. As always, VERY friendly and VERY professional!!! As always, VERY friendly and VERY professional!!! Great work! I have gone to several dentist offices over the past 50 years and I can say that this was one of the best, if not the best, dental experience I have ever had. Excellent service, efficiency, technical skill, friendliness, and pricing. Nice staff. Very concerning for your oral and overall health. Very convenient when you need them. Thank you so much. Everyone is friendly, loving and caring. Thank you so much. Everyone is friendly, loving and caring. Services was really awesome and excellent. Very good, friendly service. Had fillings and extraction yesterday morning-they made that about as pleasant an experience as it was possible to make. Highly recommend to anyone needing good dental care. Very friendly service, especially being the first time I have been to a dentist in 20 years. Would recommend them to friends. Fair price, free parking (always a plus in Honolulu), very friendly, professional staff. I don't like going to the doctor / dentist, but this was a great experience. My kids (3 and 6 years old) also both had a great experience. Last time they went to the dentist ended in lots of tears. This time they were both laughing and smiling the whole time. I am very impressed by the entire experience I had at the office. I initially received an appt. on the day I called! Dr. Komenaka was OUTSTANDING! My problem was handled within days of the initial visit. I even received a telephone call from Dr. Komenaka himself, on a Sunday afternoon, to see how I was doing!!! Quite impressive. Also, going over the finances was so easy. They really seem to care about the patient and want to make the entire experience as pleasant as can be. I live on the Big Island, and will fly over and pay to stay at a hotel in order to receive the excellent care that Ala Moana Dental Care provides. Mahalo! Excellent! I'm a very difficult dental patient, due to a hair-trigger gag reflex and Dr. Komenaka, as well as my hygienist/tech/ assistant (not sure of the term), did everything possible to make me feel relaxed, comfortable, and well cared for. I still have quite a bit of work to get done, and I'm much less stressed and in terror about it now. Superb experience totally organized and efficient. Best run business I have seen inHawaii.Great prices! Great treatment. I had three cavities filled by Dr. Matto. The dentist gave me just enough anesthetic to deaden the tooth he was working on so my whole mouth was not numb. He informed me during the procedures what he was doing and answered my questions. Extra points as I was unavoidably detained, but they were able to reschedule my appointment so that as soon as I arrived, I was called back. Thank you so much everyone was so friendly and eased my nerves, Everything went great the Doc was so professional I felt at home. Mahalo. The entire staff of dentists, hygienists, and office personnel are superb. I absolutely love this office! I Got in and out super quick and the quality of the work was outstanding. I highly recommend this dental office. In fact I have referred two of my friends and they both really enjoyed their visit also. One friend told me that he was so impressed at their heart to give. He needed quite a bit of work completed and it would have totaled $800. He could not afford the work but the Dr. began to work on him anyway and lowered the price to exactly what my friend could afford. 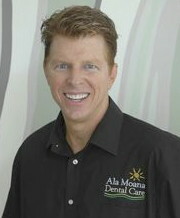 I gladly share with everyone looking for a dentist about Ala moana dental!! Love Dr. Matto. He a great dentist and very knowledgable. Love the hours and they work 7 days a week. They have payment plans as well. Very professional. I felt welcomed by everyone and had a great experience. Their customer service is 5 stars. Even though I had a general ideal what I wanted docter Devereux spent the time to explain what would be best for me right now . I am very happy with the outcome of my dental procedure, and the ability to go through this process on weekends and after working hours on weekdays was a godsend. Very professional at all stages. My experience at the dental office was not as bad as I thought it would be. I shouldn't compare my past experiences, and the Dr. was very patient with me. Thank you very much. This place was awesome! First time in almost 5 years since seeing a dentist. Staff was friendly, informative, & instructive. Even though I have a few cavities, the staff was not condescending about it which I have experienced elsewhere. Hours are great and fit my 8-5 m-sat schedule. I went in on a Sunday!!! Keep up the great work you are doing!! I have been a patient at Ala Moana Dental Care for 8 years--they're the best! The care is on the cutting edge, the staff is amazing, and the office is beautiful and well located. Outstanding Dental Practice! This was my first dental visit in 10 yrs and needless to say I was very nervous. Every single person, from those at the front desk to the X-ray Technician, the Dentist, and especially the Dental Hygienist Karen, helped keep me calm and well informed throughout the entire process. 100% outstanding teeth cleaning. All of this for only $65! I now have a place I can go to with no fear of extra charges or extra work, just complete honesty of my dental situation. I love this place. See you in six months! Good and not to expensive. Everyone was so caring & professional. My dentist was excellent! Very comforting and relaxing atmosphere. I like how you remind me of my appointments via email and text messages. Everyone (receptioinist, assistant, hygienist and doctor) is courteous and helpful. Very satisfied all around. Thank you! awesome office staff, and office above any standards I have ever seen. Doctor very nice professional and also very friendly and caring ..this office is great friendly and helpful . The staff were very friendly, thorough and professional. The staff were very friendly, thorough and professional. I was very impressed and look forward to seeing them in the future. Aloha spirit all the way! As an absolute wonderful experience you could have at the dentist. I chose Ala Moana based on reviews I read from other sources over a year ago. I chose Ala Moana based on reviews I read from other sources over a year ago. I am one who really hates to go to the "Dentist." I must say that the team provides a relaxing and friendly atmosphere while keeping a high standard of professionalism. Also, easy access due to parking garage above with free validation! Everyone is extremely friendly. They always made sure I was comfortable. Very professional and I would highly recommend to anyone. Nice and clean place, very helpful and professional... this place makes you feel comfortable in a uncomfortable setting. Sharon was great as usual - and so was everyone else! VERY GOOD, VERY PROFESSIONAL SERVICE. Everything was beyond my expectations. Best dental care I've ever received. Always the best in attentive care, hours and location! Andrea and Brett were friendly and professional. Andrea and Brett were friendly and professional. The front office staff was very helpful as well. Everyone did a good job of making me comfortable AND explaining things in a way that the layman could understand. So good I go here without insurance. So good I go here without insurance. But I just signed up for the in-house insurance and paid a very reasonable price for my procedures. Extremely pleasant and professional experience from the time I walked in the door until I left. As a new patient, everyone met and exceeded my expectations. I look forward future appointments. Even though I was a 'walk-in' the facility and staff was great. Even though I was a 'walk-in' the facility and staff was great. Even though it's semi private 'rooms' (it's like office cubicles with high partitioners to give you privacy), the attention and care you get is superb. While extracting my tooth, the doctor continued to ask if I was okay because the sound of the drill was unnerving. I definately am considering making this place my dentist of choice! Awesome awesome awesome!! Highly recommend. Great flexible hours a BIG PLUS! Love dealing with the the staff. Friendly and competent staff. Lori is an awesome hygienist. Dr Devereaux. always makes me feel comfortable and I love going to the dentist!! Terrific customer service, efficient and very pleasant office staff, great experience. Will definitely be back and refer friends to this practice! Very caring, and courteous, thorough, and knowledgeable. Fantastic! Very caring, and courteous, thorough, and knowledgeable. I would give a higher rating but we can all strive to be better. My experience at Ala Moana Dental was very good, the staff was courteous, knowledgeable and professional, I would recommend Ala Moana Dental to anyone. I found Ala Moana Dental Care! I have hated going to the dentist my entire life, until I found Ala Moana Dental Care! This in the best dental office ever. This in the best dental office ever. The skilled doctors are fantastic. They see patients on time -no delays. They have great extended hours. The office interior and lighting is very trendy and pleasing. And the office staff is welcoming and knowledgeable. Excellent office! I had a tooth filling yesterday. Dr. K did a really good job and fast! I didnt feel a thing not even the poke of that needle! Katrina did also a very good job! She were thorough and make sure that every thing is clean. She also give you advices. Thank you! The whole staff is excellent. They staff at Ala Moana Dental Care were very professional and caring! I would highly recommend going to Ala Moana Dental Care. The customer service was great! A little commercialized to the point where it didn't feel genuine, but it was still great service. I have received excellent care. Thank you. Office was clean and modern. Staff was courteous and professional. I was amazed by how everyone was so industrious at 6 AM! Office was clean and modern. Fabulous! More than I expected. Thank you! The staff is very friendly and the services are A++ across the board! On this visit I came in and noticed that they had the sonic care diamond series toothbrush for sale. The price that was listed was cheaper then any other place I have seen. I highly recommend Ala Moana a Dental Care to everyone. The staff is very friendly and the services are A++ across the board!! Amazing! Staff was smiling, friendly and explain the procedure to me. Everybody was great and work was painless. Very pleased with all phases of my visit. Great service and great work. Thank you!!!! Very professional staff, and they are precise and quick. The visit was great. Everyone at AMDC is so friendly. Everyone at AMDC is so friendly. It makes going to the dentist quite pleasant! Our family has had positive experiences and we are satisfied with our service overall. Experienced extreme soreness for two days after impressions taken. During procedure, only problem was with pain on lower right inside of mouth, low on gums, when mold pressed hard. I indicated there was pain and pressure was reduced, then applied again. This repeated twice more at which time I stopped trying to indicate anything as obviously there was nothing to be done since the impressions had to be taken. It was easier to just let it get finished. This problem only occurred when the second set of impressions were taken, no problems at all with the first set. I will say the young lady taking the impressions was very polite and she was concerned when I expressed discomfort and did try to alleviate the pain. I know there are a lot of new (to me) people and that things happen. I do not feel my overall satisfaction with your service is affected. Our family has had positive experiences and we are satisfied with our service overall. I am so impressed with your competence! Thank you Dr. Devereux and staff for simply being the best!!! This is absolutely the best dental office on the planet!!! Ala Moana Dental Care has the best dentists, the best hygienists, and the best hours you could ever hope for, first class service all the way!!! I dreaded going to the dentist until I became a patient here, best move I ever made!!! Thank you Dr. Devereux and staff for simply being the best!!! Dr. Brett Mandich and Danielle were absolutely wonderful. Dr. Brett Mandich and Danielle were absolutely wonderful. Thank you. Outstanding customer service and efficiency. Ala Moana Dental Care is the best dentist visit I ever had in my life. Most positive experience I've had. Always super friendly, always super professional.! Always super friendly, always super professional.!! They are the best!! Excellent dental office, very close to my new home in hawaii. Everyone was super friendly and super professional. I'm glad, I know I'm in good hands with them. Excellent doctors, excellent hygienist , excellent staff all around. My visits are always pleasant, from the greetings coming in the door to the "aloha" when leaving. Have never had any unsettling events and everyone is always attentive. It's really a good experience for me to visit Ala Moana Dental Care yesterday. The people working there are very nice and professional, you will receive very good service there seven days a week. Highly recommended! I'm glad I chose Ala Moana Dental Care as my primary dental because they are so friendly and accommodating. If your dentist isn't there and you're comfortable with another dentist doing work they schedule you as soon as you need it done, it's great! Staff is friendly and courteous. They are very informative every step of the way. I just love this place! Click here to view even more dental testimonials.